The Fifty Best held a “blind” tasting of fourteen No Age Statement Scotch whiskies with a panel of 18 judges. Strict tasting rules were applied. The order of service was established beforehand by lottery. The scotch whiskies were poured into fresh glasses from new sealed bottles, and served at slightly above room temperature. Only ice water, neutral unflavored crackers and chips were available to cleanse the palate. Water droppers were provided to the judges for the option of adding water to the whiskies. (Highlands) White American oak barrels. Nose: Caramel, molasses, vanilla, honey, berries, peach, apple, citrus, lemon, light fruit, figs, raisin, herbal, sweet malt, cereal, oatmeal, wheat, oak. Palate: Toffee, honey, Baker’s chocolate candied fruit, red fruit, berries, orange, dried fruit, raisins, cereal, grain, straw, floral, heather, sandalwood, almond, basil, mint, spicy, white pepper up front, nutmeg, woody, sweet oak, smooth, silky, elegant. Finish: Peach, dried apricot, maple, cereal, grain, softly spicy, briny, tannic, oak, woody, flavorful, soft, mellow, nice, beautiful. (Speyside) Spanish Oloroso sherry butts. 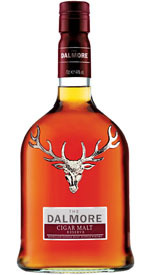 Original cask strength. Nose: Sugarcane, brown sugar, demerara, honey, molasses, vanilla, cream, mocha, ripe fruit, pear, tropical fruit, cinnamon, nutmeg, malt, oaky, burnt wood. Palate: Caramel, chocolate, honey, dates, raisin, dried candied fruit, dried dark fruit, apple, citrus, basil, tarragon, nutmeg, strong spice, Szechuan peppercorn, port, sherry, woody, oak, cedar, dessert scotch, rum-like, round, bold, rich. Finish: Honey, creamy, spicy berries, pineapple, figs, raisins, dried blueberries, dried fruit, light grain, spice, nutmeg, coffee, PX Sherry, tobacco, oak, balanced. 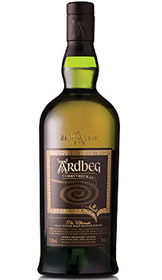 Nose: Honey, fruity, cooked rice, buttery, peaty, brine, cedar, smoky, burnt pine, charred wood. Palate: Brown sugar, honey, vanilla, fruity, cherry, sweet banana, citrus, smoked almonds, toast, malt, mocha, spicy, peppery, tobacco, iodine, smoky, peat, wood, smooth, very well balanced, bold, powerful. Finish: Caramel, honey, dried fruit, toasted, cured ham, salted pork, toasted seaweed, sea salt, spicy, smoke, crisp, soft, smooth. (North Shore Highland) Non-Chill Filtered. Selected oak casks. 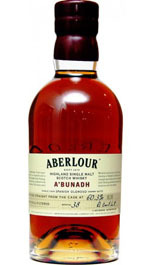 Nose: Butterscotch, caramel, cream, cocoa, honey, apricot, sweet lemon, spices, brine, peat, smoke, smoky cedar, woody. Palate: Vanilla, smoky maple, honey, green apple, citrus, bell pepper, ginger, almonds, truffle, nice sweet grain, cream, cream malt, mint, cloves, nutmeg, cardamom, spice, peppery, iodine, peaty, smoky, burnt campfire, wood. Finish: Vanilla, cream, honey, light peach, oregano, clove, nutmeg, cardamom, spicy, bacon, light phenolics, mineral, maritime, peat, light smoke, black smoke, oak, balanced, nice, smooth, savory. Nose: Honey, molasses, vanilla, creamy, apple, orange peel, dried fruit, bread, wheat, heather, moss, nuts, nutmeg, mocha, peat, earth, burnt smoke, woody, pine, oak. Palate: Toffee, creamy, buttery, vanilla, honey, candied fruit, black currant, citrus, raisins, dried fruit, malt, floral, dandelion, licorice, anise, cardamom, cinnamon, pepper, spice, peaty, smoke, oak, nicely balanced, nice round body, soft, intense, classic, perfect. Finish: Honey, molasses, grain, ginger, pepper, clove, lingering spice, salinity, hint of iodine, light peat, pine smoke, mild cedar, oak, well-balanced, soft, flavorful, powerful, very well done, delicious. (Highland) First fill sherry oak casks. Nose: Caramel, vanilla, creamy dark chocolate, dark fruit, dried dates, dried fruit, floral, sandalwood, clove, sweet sherry, iodine, briny, toasted oak, wood. 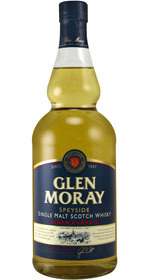 Palate: Caramel, toffee, creamy, chocolate, brown sugar, vanilla, honey, mixed fruit, apples, citrus, dried fruit, dark raisins, honeysuckle, nutty, mint, spicy, clove, pepper, dry black tea, tobacco, malty, grain, cereal, corn whiskey, Bourbon-forward, sherry, oak, smooth, silky, complex, mature. Finish: Caramel, sweet candy, cherries, sweet peach, citrus, grain, mint, cinnamon, clove, slightly spicy, briny, cedar, oaky, well balanced, smooth sherry finish, perfect finish. Nose: Peaches, melon, grapes, grapefruit, banana, creamy, citrus peel, bubblegum, leather, brine, peat, light smoke, burnt wood, cedar, soft, forest in the morning. Palate: Honey, creamy, marzipan, citrus, red fruits, raisins, wintergreen, celery, clove, spice, pipe tobacco, briny, salinity, peaty, light peat, smoky, cedar, smooth, silky. Finish: Marzipan, banana, dried fruit, lemon peel, almond, clove, dried grass, brine, peaty, smoke cedar, sea breeze, soft, perfect balance of fruit smoke and peat. Nose: Toffee, honeycomb, honey, vanilla, Baker’s chocolate, candied apple, apple, apricot, sweet orange, banana, dried pear, dried figs, floral, malt, oak, cereal, peat. Palate: Toffee, caramel, fudge, dark chocolate, brown sugar, marzipan, honey, berries, banana, dried fruit, dried dark fruit, mint, clove, cinnamon, leather, tobacco, sherry, port, oak, soft, balanced. Finish: Brown sugar, light honey, apple, dried raisins, dried fruit, nuts, almonds, spice, heather, tannic, mild smoke, oak, well balanced, very nice. Nose: Toffee, caramel, peaches, lime, floral, heather, stone ground wheat, tobacco, spicy, sea breeze, maritime, seaweed, spicy peat, smoky, oak, cedar. Palate: Butterscotch, caramel, mocha, vanilla, honey, meringue, red fruit, dark fruit, pineapple, burnt orange, citrus peel, raisins, Cheerios, cereal, wheat, spicy, light smoke, oak, cedar, complex, savory, rustic. 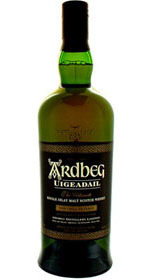 Finish: Taffy, creamy, raisins covered in yogurt, lemon peel, cumin, spicy, tobacco, peaty, smoke, oak, bold, soft, smooth. Nose: Caramel, honey, dark sugar, candied fruit, cherry, banana, lemon, orange peel, dried fruit, cream, cocoa, almond, nutty, grain, moss, peat, charred oak, oak, cedar, mild wood. Palate: Caramel, brown sugar, honey, rounded vanilla, orange, dried pineapple, raisins, chocolate, malty, nutty, ginger, slightly spicy, pepper, tea, sweet tobacco, slight peat, cigar box, woody, oaky, smooth. Finish: Caramel, smoked candied fruit, peppermint, spicy, cinnamon, cereal, malt, heavy grass, woody, oak, balanced, smooth, rich. Nose: Honey, ripe cherries, dried fruit, brown flowers, cut grass, nutmeg, clove, earthy, briny, the sea, iodine, peaty, smoky, charcoal, oak. Palate: Caramel, fudge, honey, apple, pineapple, raisins, corn, spice, maritime, briny, woodsy, cigar box, peat, smoke, cedar, oak, bold. Finish: Smoked salmon, smoked ham, cereal, spicy, tannic, iodine, strong peat, ashes, soft smoke, more wood, mouth-filling, smooth, beautiful. 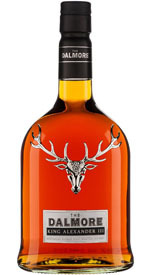 (Highland) Matured in American white oak bourbon barrels and finished in Spanish Oloroso sherry butts. 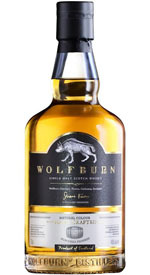 Nose: Toffee, butterscotch, cocoa, creamy caramel, vanilla, honey, orange peel, orange zest, light sherry, honeysuckle, eucalyptus, clove, nutmeg, peppery, grainy, Connecticut tobacco, iodine, briny, peaty, mild smoke, delightful. Palate: Caramel, dark chocolate, marmalade, honey, sherry, citrus, orange, orange peel, mint, licorice, cinnamon, cardamom, spice, baking spice, malt, cereal, grain, peaty, wood, oaky, creamy, smooth, perfect after big meal. Finish: Chocolate, vanilla, honey, ginger, almond, anise, mint leaves, eucalyptus, sorghum, bay leaf, cinnamon, cloves, cardamom, spicy, pepper, oak, woody, controlled alcohol, clean, smooth, elegant, well done, great finish. Nose: Toffee, butterscotch, caramel, dark chocolate, fudge, tootsie roll, candy corn, vanilla, lemon, dried fruit, floral, pollen, almond, walnut, mint, brine, peat, woody, new wood, oak. Palate: Dark chocolate, vanilla, sherry, honey, berries, cherry, citrus, orange peel, dried fruit, malt, walnut, anise, clove, cinnamon, cumin seed, garam masala, cooking spices, spice, peppery, leather, iodine, brine, peaty, strong alcohol, rich, savory. Finish: Caramel, orange peel, lemon zest, malt, nutty, roasted cumin, peppermint, cinnamon, spicy, black salt, salty, peat, oak, good burn, high-proof heat, complex. Nose: Vanilla, cream, Nutella, honey, Meyer lemon, citrus, melon peel, dried fruit, floral, grain, tobacco, brine, sweet oak. Palate: Honey, dark sugar, creamy, vanilla, dried apricot, dried fruit, orange peel, lemon peel, citrus, floral, grain, straw, nutty, anise, basil, cinnamon, spice, malt, sherry, cigar tobacco, leather, mineral, oak. 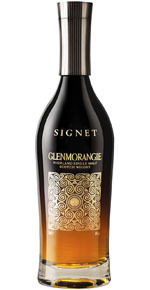 Finish: Vanilla, dried apricot, dried fruit, malt, lovely minerality, mild peat, oak, well-balanced, nice, smooth. Nose: Heather honey, green apple, dried fruits, orange peel, floral, straw, sweetened coffee, sherry, leather, briny, iodine, light smoke, oak. Palate: Toffee, buttery, honey, apple, raisin, chamomile, sprouts, radish, spicy, nutmeg, complex leather, light peat, sweet woody, cedar, oak, smooth, very well crafted. Finish: Orange, spicy orange peel, lavender, heather, mint, cinnamon, peaty, cedar, oak, honest mature, great finish. Nose: Honey, charred orange, burnt fruit, flowery, tea, grass, mint, spice, malt, lager, seawater, leather, damp embers, light peat, smoke. 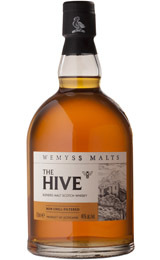 Palate: Honey, nectar, creamy, burnt orange, dried fruit, citrus, floral, anise, ginger, spicy, peppery, tobacco, leather, smoked salmon, sweet oak, cedar, peaty, smoky, smooth, complex, easy to drink. Finish: Light candied fruit, honey, orange peel, melon, floral, spice, tobacco, cedar, light smoke, balanced, smooth. For decades, when it comes to single malt scotch whisky, we tend to pick our favorites based on how long they've sat in a barrel: the Talisker 18 year old or Glenfiddich 12, for example. A reformation is quietly under way with a mysterious new crowd making their appearance, and their labels are prominently numeral-free. Increasingly, brands are introducing a relatively new category called "no age statement" (or "non-age-stated") whiskies. These expressions offer a different take on a favorite brand, where things like maturation techniques, a specific flavor profile or other character take precedence over age. Instead of an age statement, these spirits are generally given names to explain their focus, like "Traditional Cask", "Four Wood" or "Small Batch Reserve", or unusual Gaelic names.